Step 1:Obtaining a pallet or two. 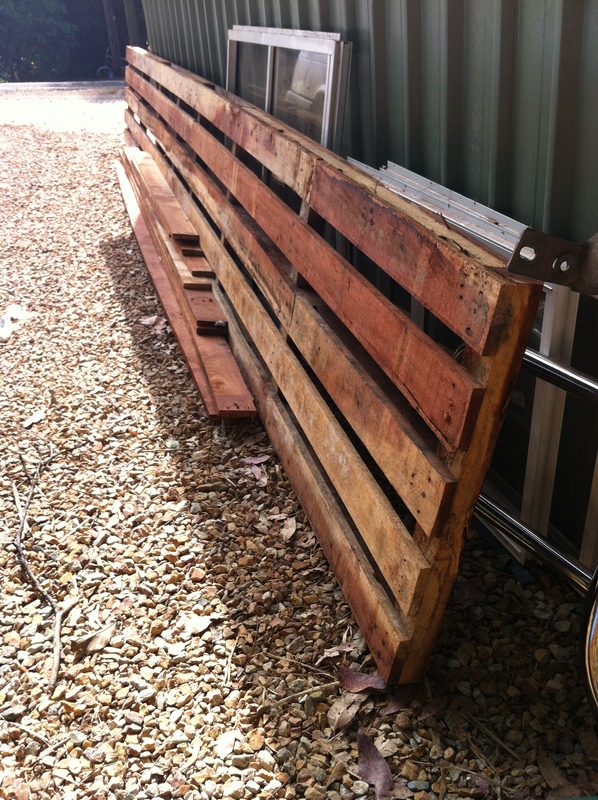 We purchased 3 sheets of gyprock which were loaded onto the roof of the van with… a beautiful 6m long, hard wood pallet. As it worked out our shed just happened to be 6m long also. Hmmmm… thought Luke. We have also found another way to get pallets. Bunnings! Go to your nearest Bunnings or hardware and just ask. Usually they are more than happy for you to take a few from out the back (except the red or green ones). They won’t help you lift them onto the roof of the van in the middle of a hot day in the blinding white pavement out the back of the warehouse though. Found my 1RM. Dig some holes, insert uprights, concrete them in and check they are level. Invite 10 or so friends, neighbours, rellies over for lunch but ask them for a quick lift first. Give clear instructions and bend your knees. De-nail pallet if required and remove boards from one side. 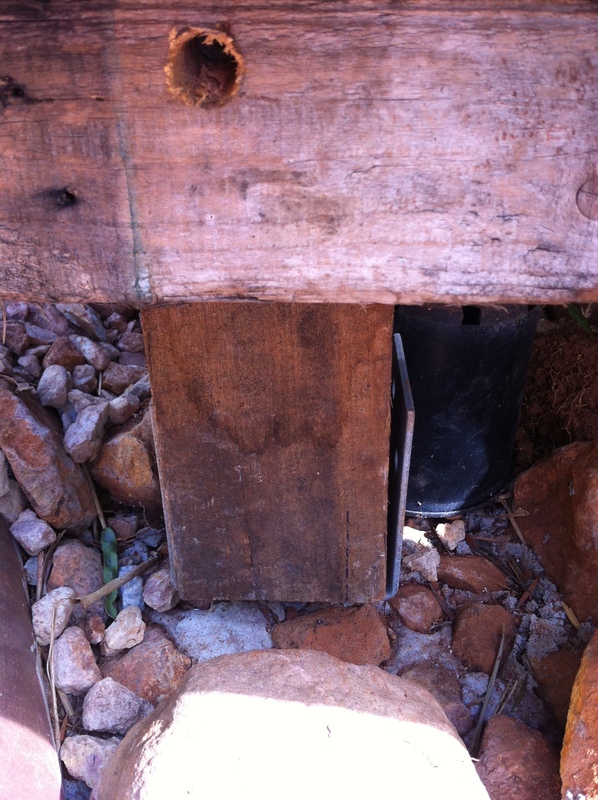 Mount pallet onto footings. Fix there. Use the removed boards to fill in the pallet top. Belt sand and paint for a finished look. 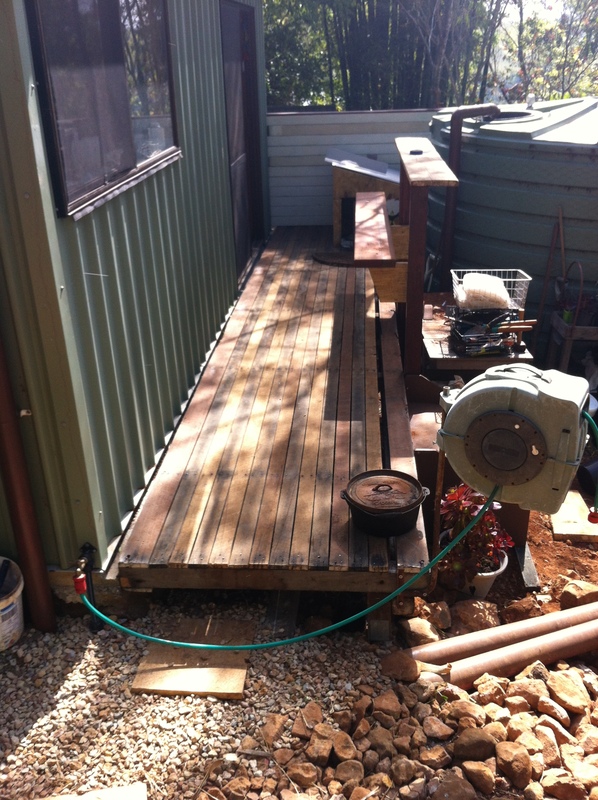 And add a bar and bench for an arvo chillout. Offer your helpers a drink. Looks great! Well done R&L and friends! You are so good at sourcing the bits you need! Nothing like some creative recycling!